Type of works: design, manufacture and supply of Polyflors luxury vinyl tile, homogeneous smooth, safety, ESD and sports flooring products. 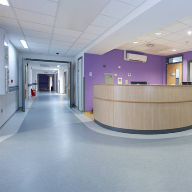 Polyflor has once again demonstrated its pedigree as a leading manufacturer of vinyl floorcoverings for the healthcare sector after eight different products, covering over 5,500m2, were installed at the stunning St Andrews Community Hospital. The new hospital is a purpose built, modern healthcare facility that combines world class architecture with high end design features to provide a warm and welcoming environment for patients. Designed by Ryder Architecture Ltd and constructed by Projco Ltd, a PFI consortium, the hospital incorporates a series of two-storey pavilions arranged around a central hub. Sustainable construction and materials were used throughout the project and the entire building was designed to maximise the use of natural light. As with any project of this size the specification of the flooring represents a huge element of the finishing materials. Installed by Bryson Flooring in Dysart, a variety of Polyflors luxury vinyl tile, homogeneous smooth, safety, ESD and sports flooring products were specified for certain areas around this impressive site. Patients throughout North East Fife will benefit from this state-of-the-art, purpose built primary care facility and we needed to deliver modern building that reflected the services on offer, commented Susan Aird, Operational Contract Manager at St Andrews Community Hospital. Polyflors Bevel Line and Expona Design luxury vinyl tiles were used to help create a great first impression in the main reception and corridor area. 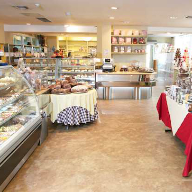 The durable stone effect Wet Concrete and Atlantic Slate finishes provide a clean aesthetic look and easy maintenance thanks to their polyurethane treatments. Where electro static dissipative (ESD) flooring was needed in the theatres, Polyflor SD was selected for its proven static control and hygiene benefits, independent test results demonstrate that it inhibits the growth of MRSA, although an effective cleaning regime is the best defence against infection. 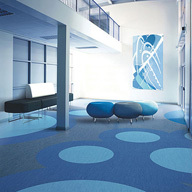 Homogeneous Prestige PUR was used in the general circulation corridors and waiting areas on all floors. 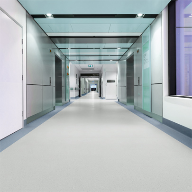 Prestige PUR features a high quality polyurethane reinforcement (PUR) which, combined with a superior closed surface finish, facilitates a low cost, polish-free maintenance regime for the lifetime of the floorcovering, achieving cost savings of up to 48%. A second homogeneous product, marbleised 2000 PUR, was laid in various treatment areas, stairs and general stores. 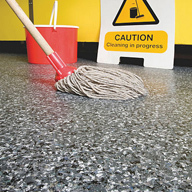 With Polyflors class-leading PUR, this product provides the same polish-free, low maintenance benefits as Prestige PUR. 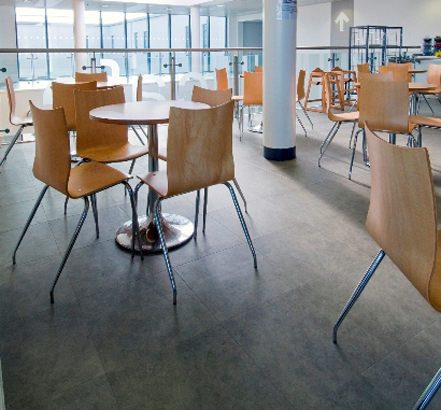 Two of Polyflors safety ranges were specified throughout areas where there is a high slip risk. 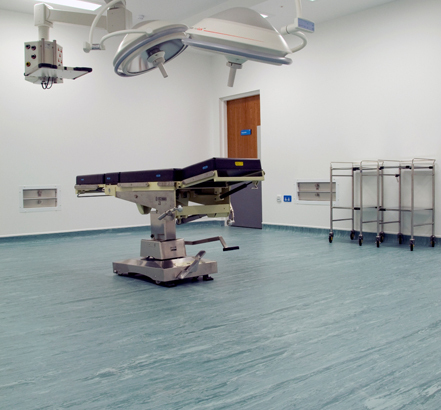 Polysafe Standard was used in the kitchen and utility rooms while the more decorative Polysafe Astral PUR was specified for the dental rooms, first floor treatment rooms and WCs throughout the hospital. All Polysafe products fully comply with HSE and UK Slip Group Guidelines to give sustainable slip resistance throughout their guaranteed life, achieving 36+ on the Pendulum wet test (Slider 96/Four S rubber) with a surface roughness of 20 microns and above. 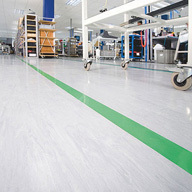 Both ranges also adhere to EN 13845, the European standard for safety flooring. 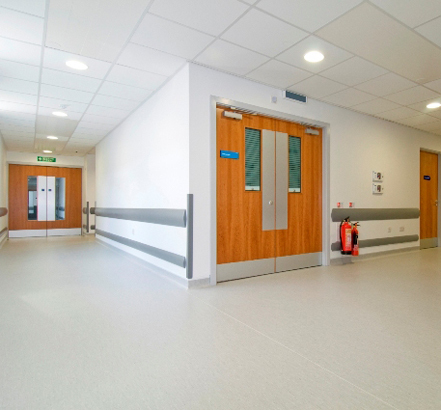 As with Polyflors ESD range, Polysafe Standard and Astral, Prestige and 2000 PUR all demonstrate, through independent test results, that they inhibit the growth of MRSA which is a major benefit for any healthcare environment. 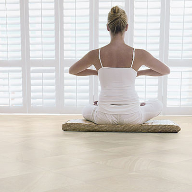 Polyflors Sport 67 Maple effect was chosen for the first floor gym and physiotherapy rooms. Sport 67 provides the underfoot resilience and long life demanded by high traffic areas and features Polyflors unique polyurethane reinforcement for enhanced protection, appearance and easier on-going maintenance.